As part of our extended partnership with the University of Wisconsin – Madison Athletics, Associated Bank is tapping into the passion of Badger basketball fans by launching the Ultimate Basketball Weekend Sweepstakes through March 4. Fans can enter the sweepstakes online at www.Associatedbank.com/basketball. Three grand prize winners will be randomly selected to receive the Ultimate Basketball Weekend* in Houston, Texas from April 2 - 5. Each winner will receive roundtrip airfare and ground transportation for two, hotel accommodations, and a gift card. In addition to participating in the Ultimate Basketball Weekend Sweepstakes, Badger fans can choose to show their pride by opening a Badgers™ Checking account with a $150 cash bonus** and 15 percent discount at Bucky’s Locker Room™ when they show their Badgers™ checks or debit card. If they open a funded account at the Badgers Rally Zone on the second floor concourse at the Kohl Center, they will also receive a co-branded Bluetooth speaker and a $75 gift card for Bucky’s Locker Room™. For more information, visit www.associatedbank.com/badgers150. 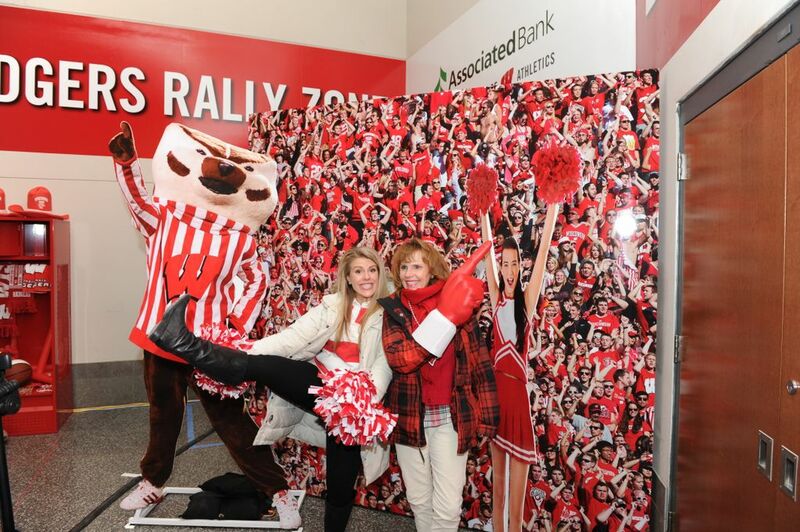 Fans can also enjoy a unique fan experience at the Badgers Rally Zone. They can participate in Pop-A-Shot™ to challenge their basket-shooting skills against a clock and create their “Rally Cry” at our 3-D photo booth for a fun photo session with sports props. *NO PURCHASE NECESSARY. Drawing is only open to legal U.S. residents age 18 years or older. Void where prohibited by law. Odds of winning will be based on the number of entries. A purchase does not increase your chances of winning. See official drawing rules for details, including how to enter by mail, at www.AssociatedBank.com/basketball or by calling 1-800-236-8866. Tickets to basketball games are not included in the prize package. **Offer expires May 31, 2016. Minimum deposit required to open an account is $100. Deposits from existing accounts do not qualify. Customer must complete a minimum of three payments using Online Bill Pay OR have one direct deposit of $300 or more to their account within 45 days of account opening. Bonus will be deposited into their account within 75 days of account opening after meeting the qualifications. Please visit www.associatedbank.com/badgers150 for terms and conditions. All trademarks, service marks and trade names referenced in this material are the property of their respective owners.